Flieder Floxx: Lighten up Mr. Dickens! Last month I bought a Kobo. 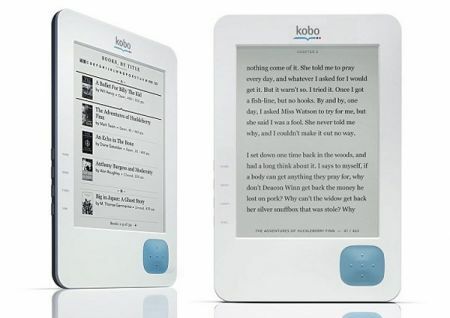 For those of you who aren't familiar with a Kobo, it's the Chapters/Indigo version of the Kindle or the Sony e-Reader. I have to say it's one of the best purchases I have ever made, and at $150.00 it's significantly cheaper than some of the other e-readers out there. The main difference between the Kobo and the Kindle is that the Kobo is ONLY for reading books. You can't access the internet with it, play Grand Theft Auto on it, and it won't make you coffee. And that's fine with me. I just wanted something to replace the hundreds of paperbacks that have cluttered every corner of my home for so many years. One of the features of the Kobo is that it comes with 100 free books. Classics. Like The Adventures of Huckleberry Finn by Mark Twain, Ulysses by James Joyce or Leo Tolstoy's War and Peace. Initially, I was quite excited. "Oh perfect!" I thought. "Now I'll be able to really delve into some of these wonderful classics." But then I realized, I have ABSOLUTELY NO INTENTION of reading them. EVER. Don't get me wrong. I love to read. I majored in English at University and did quite well, thank you very much. But the thought of reading Tolstoy or Dickens or Chaucer or (heaven forbid!) Hemingway makes my eyelids feel heavy. Take this, for example, from Charles Dickens' A Tale of Two Cities. All these things, and a thousand like them, came to pass in and close upon the dear old year one thousand seven hundred and seventy-five. Environed by them, while the Woodman and the Farmer worked unheeded, those two of the large jaws, and those other two of the plain and the fair faces, trod with stir enough, and carried their divine rights with a high hand. Er, right. A real page-turner. Don't get me wrong. I've read a few classics that I've really enjoyed. Jane Eyre is one of them. Zola's Germinal is another. But I'd like to go on the record here and tell you that most of the books on my Top Ten List I read for pure escapism and entertainment. I ADORE chick-lit. Marian Keyes' books are fantastic as is the Shopaholic series by Sophie Kinsella. The Harry Potter books were a super fun read, and I enjoyed The Diary of a Wimpy Kid after my daughter was finished with it. I love murder mysteries, the odd true crime book, and pretty much anything else that's fluffy and doesn't require much thought. So I'm gonna go out on a limb here. I really can't speak for my well-read friends, but I have a feeling that maybe some people are slightly economical with the truth when it comes to the books they read. I decided to do a little bit of research, and you know what? Out of the millions of titles available on Kobo E-books, the 14th most popular book is this. Malkom Slaine: tormented by his sordid past and racked by vampiric hungers, he’s pushed to the brink by the green-eyed beauty under his guard. A MADDENING WITCH HE ACHES TO CLAIM . . . Carrow Graie: hiding her own sorrows, she lives only for the next party or prank. Until she meets a tortured warrior worth saving. TRAPPED TOGETHER IN A SAVAGE PRISON . . . In order for Malkom and Carrow to survive, he must unleash both the demon and vampire inside him. When Malkom becomes the nightmare his own people feared, will he lose the woman he craves body and soul? Well, it certainly sounds a bit more spicy than a Tale of Two Cities. I'm sure it's no Dickens, but it probably won't make my eyes bleed either. If you don't mind, I think I'll end this post here. I have some reading to do. when are you making your next blog? Another post will be up tonight! Dickens does come across a little easier in movies than in the original books, although he did do pretty well with Classic Comics. And Jane Eyre is the finest classic chick-lit ever, but I loved it anyways.